AMCAT Iteration Recursion Decision Questions 2019: To make any logic or code work in Computer programming, you should have sound knowledge on iteration, recursion, and decision statements. Here we will elaborate on this topic. Also we will discuss on the sample questions. Iteration, recursion,and decision statements aids in reducing the size of code. It also minimizes the complexity of the program. Using these statements, not only reduces space usage, but also the time of execution. 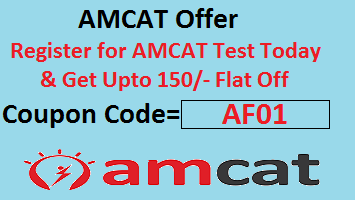 In AMCAT, 2-3 questions are asked from this topic.The difficulty level also varies from easy to average. In Computer Programming, when we write codes, there are a few sections in the program that needs to be repeated again. In that case we can make use of recursive functions. So instead of writing the same code 3-4 times in a single code, we should write it once, and call this function where ever necessary. Iteration is also called looping process. Here a certain section of the code repeats itself, till the specified number of times. For example it can be used to fetch a value from a row or column in a table. 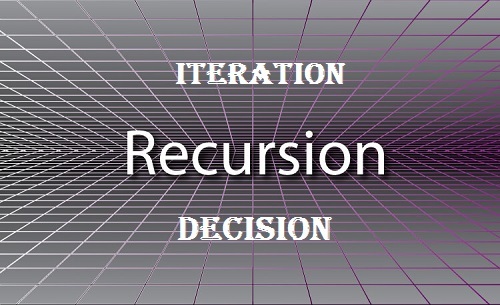 Iteration, Recursion, Decision helps in reducing the length and size of the code. As a project, Parag wants to write a code which should increment its value until a condition is satisfied. Which type of structure should he be using? C.The for loop should be replaced with while loop. Step 1: for(;;) this statement will genereate infinite loop. Step 2: printf(“%d\n”, i++); this statement will print the value of variable i and increement i by 1(one). Step 3: if(i>10) here, if the variable i value is greater than 10, then the for loop breaks. Will the output be same for the two ? Practice more questions on the same topic, so as to have more clarity. For any queries, feel free to comment below.